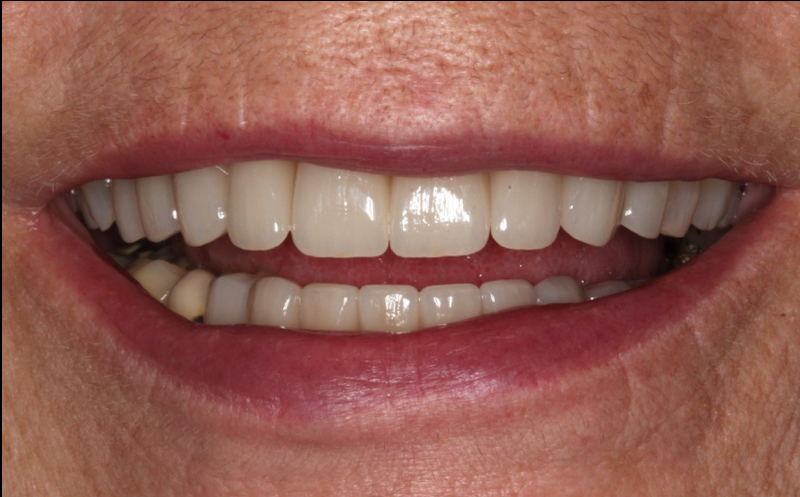 This patient presented to Dr. Rogoff with severely worn front teeth with many spaces in the lower front. She was treated with porcelain veneers to restore proper tooth form and function. She was quite please that she didn’t require orthodontics to close her spaces and achieve her esthetic goals.